Huge Savings Item! 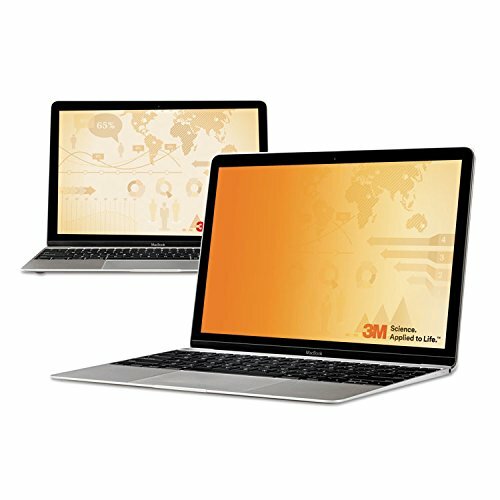 Save 18% on the 3M GFNAP002 Frameless Gold Notebook Privacy Filter for 13'' Widescreen MacBook Air, 16:10 by 3M at Andy Pemberton. MPN: MMMGFNAP002. Hurry! Limited time offer. Offer valid only while supplies last. Keep confidential information private when working in public places. User sees clearly while people on either side see a vivid golden screen. Keep confidential information private when working in public places. User sees clearly while people on either side see a vivid golden screen. Includes two easy-to-use attachment methods. Offers the highest level of clarity within 3M's line of privacy filters. Reversible privacy filter can be used with either gold or black side facing the user. Lightweight, thin frameless design. Protects display from dirt, debris and scratches. Cleans easily with a soft cloth and water. Great for high traffic areas such as airports, airplanes, commuter trains, coffee shops and other public places.